Andrea is a Felony Trial Attorney at Salt Legal Defender Association. She received a B.A. from the University of California, Los Angeles in 1997 & her J.D. from University of Utah S.J. Quinney College of Law in 2003. She has previously worked as a Deputy District Attorney for Salt Lake County working in the juvenile, misdemeanor & felony divisions. Further, she gained extensive experience in juvenile court representing indigent juveniles as a Senior Attorney with the Utah Juvenile Defender Attorneys. 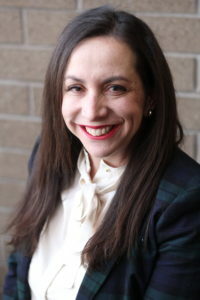 Andrea has served on several Utah State Bar committees, legislative committees & was a member of the Third District Judicial Nominating Commission from 2011-2015. Currently she serves on the Advisory Board for the Homeless Youth Legal Resource Center, and the Utah Supreme Court’s Ethics & Discipline Committee. She is also a mentor for new attorneys with the Utah State Bar.